The difference between Cable and Satellite TV remains a modernsociety mystery to many. If you have ever wondered why the one is X amount and the other is Y, well, this article will briefly summarize everything you need to know to be able to choose, the best-suited entertainment source for either you and / or your family. Ever had a bad weather storm, or even just a mild rain in the wrong position, and then all of a sudden, your TV bombs out on you, leaving you saddened, and most of all – bored. Well, this is the perks of satellite TV. Cable TV, on the other hand, is not affected by external influences, such as the weather, or anything similar to that. The only time that your cable broadcast will be interrupted, is if the lines are damaged, or something vaguely similar to that. The next big difference between the two sources of entertainment involves those who have to remain budget friendly. If this is the case, then without a doubt – satellite is better suited to accommodate your needs. 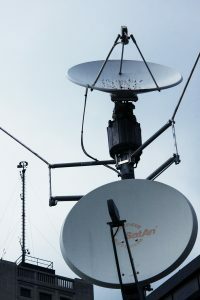 To be more specific, those wishing to subscribe with Satellite TV, are looking at a monthly cost of approximately $45. This amount, however, is only for the non-HD quality. For HD quality subscription, the fee is raised to approximately $65. Cable TV is slightly more expensive, then almost all other media entertainment options, the reason behind this is due to the infrastructure, and fee’s that the companies are liable to pay, in order to grant you uninterrupted access to your favorite channels. Cable TV comes at a basic cost of $65 per month. This again is not the HD price. For individuals who wish to have the HD subscription, around $70 is a fair budget to make. This is rough $10 more than that of satellite TV. It is also important to note, that depending on the package choice in question, as well as the provider of your choice – these price options may vary. Another important fact to mention is the fact that Cable TV is not available everywhere. You may not really have a choice between the two options, depending on which region you are based out of. The reason behind this, is there are still many regions, which do not have the necessary equipment available to install cable to your home, which makes it impossible for you to receive the service. Contradictory to this, Satellite TV is available just about everywhere. This means that as long as you are not underwater, or in the middle of Earth, you should be fine. The reason behind this is the TV is broadcasted by a satellite. Although this signal can be breached, it is impossible for the infrastructure “to not” be in place to support it. So there you have it, the pros and cons of Cable Vs. Satellite weighed down against each other in black and white. Now all you have to do is decide which one will be best for you. Then get subscribed, sit down and watch some great content, with a cool beverage in hand.